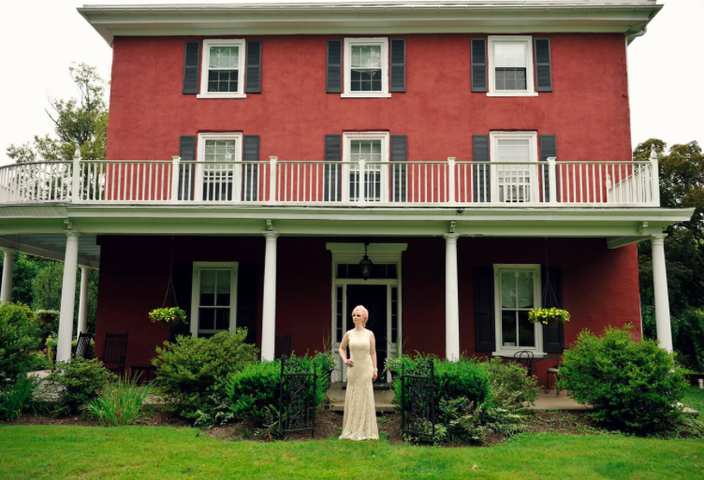 Oscar Hammerstein’s famous Highland Farm in Doylestown is in jeopardy of being subdivided into lots by developers, but native singer-songwriter Doreen Taylor is planning to use her chops Off-Broadway in an effort to save it. “An Enchanted Evening: A Night with Oscar Hammerstein II” premiers next Friday, Dec. 8, at the 777 Theatre at the Roy Arias Theater Center in New York City for a limited December 2017 engagement. The show is being touted as a “docu-musical,” promising 90 minutes of highlights of Hammerstein’s most important work. From his early work on Broadway with composer Jerome Kern to his most successful partnership and collaboration with Richard Rodgers, when the duo created such master works as “Oklahoma!” “South Pacific,” “The King and I” “The Sound of Music” and many more, Hammerstein is widely remembered as one of America’s most legendary theatrical producers. What’s lesser known is that when Hammerstein moved to Doylestown in 1940, it was there and over the next 19 years that he and Rodgers wrote those timeless classics. “I’m living right here, all this time, and I had no idea that right here in Doylestown, Oscar lived and wrote all the Rodgers and Hammerstein musicals…and to top it off, [they] want to tear it down and put up a subdivision. It infuriates me that they would want to pave that over – the history that’s at that home,” Taylor said. Shortly after Hammerstein died in 1960, the Hammerstein’s sold Highland Farm, which is now being threatened by a 4-lot subdivision. Taylor, members of the Hammerstein family, and those sharing similar interests are hoping to salvage the farm and turn it into a museum, theater and educational center with tours for what many consider the birthplace of modern American musical theater. 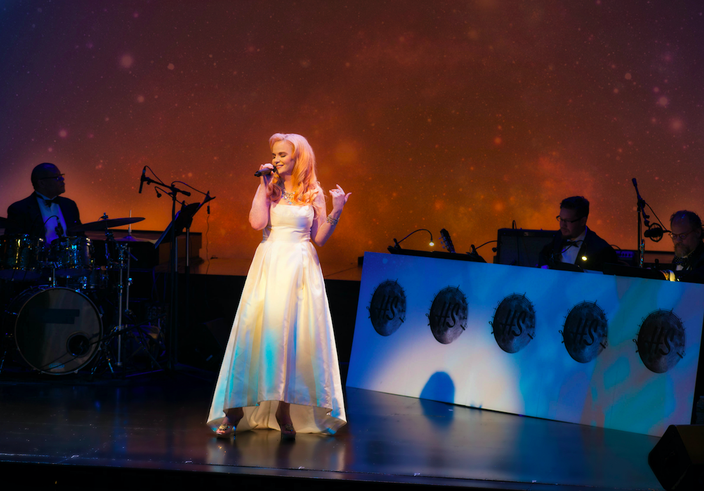 After “An Enchanted Evening” received critical acclaim at the Bristol Riverside Theatre in August, producers decided to pitch it Off-Broadway, and from there the show took off. “’Oklahoma!’ was the first show they had written together. You can hear the influence,” Taylor said. 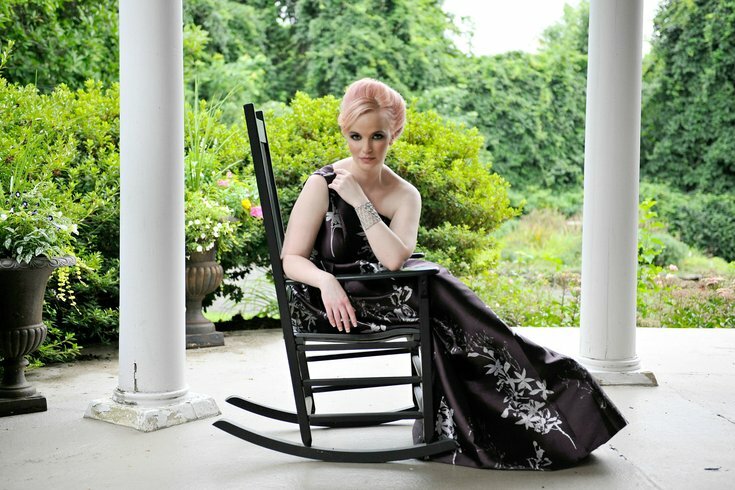 Doreen Taylor poses for a photo shoot at Highland Farm in Doylestown, PA, Oscar Hammerstein II's historic home and birthplace of Rodgers and Hammerstein musicals “The King and I,” “The Sound of Music,” “South Pacific,” “Carousel,” “Oklahoma!,” and many more. Taylor said William Hammerstein, Oscar’s grandson, gave producers a rare glimpse into the famed director’s private, never-before-seen images and videos, and shared personal stories offering an intimate look at Hammerstein’s life and music through documentary storytelling and performances. “Doreen’s talent and personal values make her a perfect torchbearer for this exemplary legacy,” said William Hammerstein in a press release. “We can’t go a day without hearing an Oscar and Hammerstein lyric in a commercial,” said Taylor. “An Enchanted Evening: A Night with Oscar Hammerstein II” runs Dec. 8 through 17 at the 777 Theatre at the Roy Arias Theater Center, 777 8th Ave. (between 47th and 48th streets), New York City, N.Y. Tickets are $80 and on sale here. Proceeds will be donated to help save Highland Farm in Doylestown.